ENOCH CITY – A fire that started with a spark from a saw kept fire crews busy for several hours Monday. The Cedar City Fire Department responded around 3 p.m. to a fire on north Enoch Road and was later joined by fire crews from the Bureau of Land Management and the Utah Division of Forestry, Fire and State Lands. The fire that took in 11.7 acres was allegedly started when sparks flew from a saw used by a construction worker cutting rebar. Gusts of wind blew the flames north threatening two structures; the home under construction where the worker was at when the fire broke out and another home across the street. “There were fire trucks stationed near the home just in case the fire started moving closer in that direction,” Dotson said. City officials were particularly concerned last week about whether there would be enough water to fight a fire in Enoch if one were to break out. Officials remain concerned that the tanks may drain too low again tomorrow if residents all turn on their outdoor water in a panic from not being able to water their yards over the last 40 hours. No injuries were reported in the Enoch fire. It is unknown whether police issued a citation. 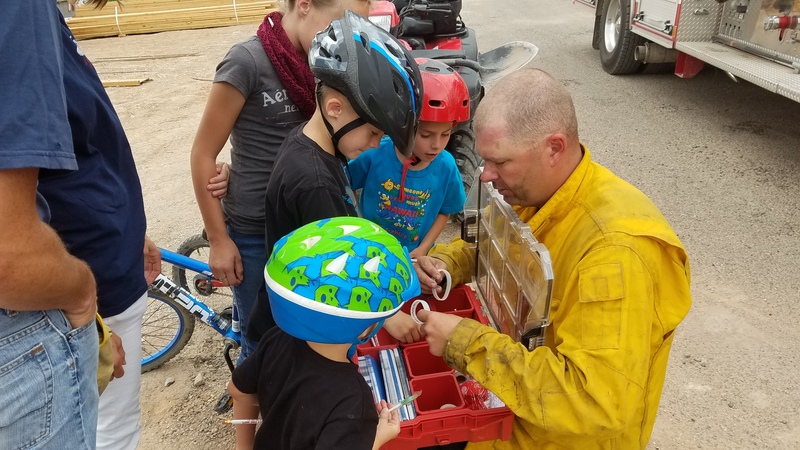 Besides the 70,000-acre Brian Head fire burning on the mountain since June 17, the Enoch incident is only one of many fires that crews have responded to in recent weeks, Cedar City Fire Chief Mike Phillips said. Phillips reiterated the same warning as he has numerous times during the last month. Phillips said the largest issue has been fireworks with fire crews responding to 12 fires on the 4th of July alone. “And we still have the 24th of July, Pioneer Day, coming up,” Phillips said. How about this for an idea: QUIT SELLING FIREWORKS ALL OVER TOWN! !